Shaun Marsh scored a century on his Glamorgan debut. 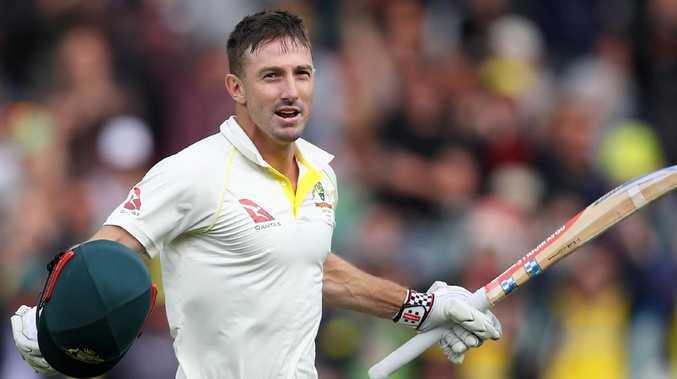 SHAUN Marsh followed Australia teammate Matt Renshaw in making an early-season century in England's County Championship as he marked his Glamorgan debut with an innings of 111 at Gloucestershire on Saturday. 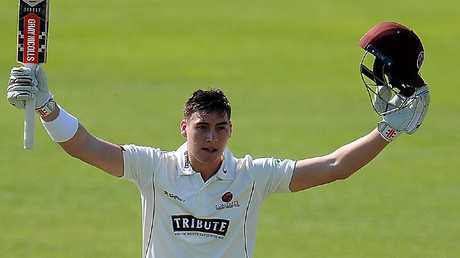 Renshaw made 101 not out on debut for Somerset on Friday and 24 hours later it was Marsh's turn to reach three figures. Marsh struck 18 fours on a lively Bristol pitch as Glamorgan ended the second day of this second division clash on 5-296 in reply to Gloucestershire's 236 all out. Matt Renshaw scored a century on county debut. His innings meant Marsh become the 10th player to score a first-class century on debut for Welsh county Glamorgan, a list that includes fellow Australians Matthew Elliott and Mark Cosgrove. Meanwhile New Zealand paceman Matt Henry took a career-best match figures of 12-73 as Kent routed Durham inside just two days at Chester-le-Street. Not content with taking five wickets in Durham's first innings, Henry took seven for 45 as the hosts slumped to 170 all out in their second innings. That left Kent needing just 93 for victory, and with Daniel Bell-Drummond making an unbeaten 45, they reached the target just one down to wrap up a nine-wicket win. South Africa's Heino Kuhn made a useful 54 in visitors Kent's reply of 169 to Durham's first innings 91 in this Second Division clash. It was a very different story for Kuhn's Proteas teammate Aiden Markram, a star in South Africa's recent Test series win over Australia, who had the dubious distinction of marking his Durham debut by falling for a pair of ducks on Friday's first day. In the first division, reigning champions Essex left Lancashire a target of 320 for victory. Jamie Porter and Simon Harmer, two key figures in Essex's run to the title last season, finished with five wickets apiece for the hosts as Lancashire were dismissed for 144. Harmer then weighed in with the bat making 49 during an eighth-wicket century partnership with former England wicket-keeper James Foster, whose 69 was the top score in Essex's second-innings 313.